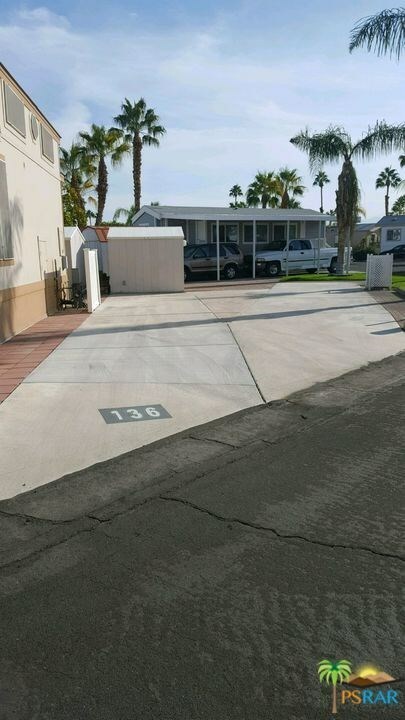 This Lot is in the sought-after Desert Shadows RV Resort. Rent is $2,100 per month plus $150 for utilities. The Resort is a gated Senior Community with 460 units. Amenities of the resort include Cable TV, Free Wi-Fi, Water, Trash and recycling program, Two large well maintained Club houses and 3 satellite clubhouses, 6 pools 1 indoor Olympic size lap pool, with spa and sauna. sunken lit tennis and pickle ball courts, indoor shuffleboard pavilion, 1600 sq. ft ballroom, fully equipped Fitness center, library with WI-FI and broadband, card and hobby rooms, Wood Shop, Putting green and Picnic areas. This Lot is centrally located near the clubhouse facilities, it has nice yard and includes a shed and Mountain views.